Welcome to Suite Amour Bed and Breakfast! 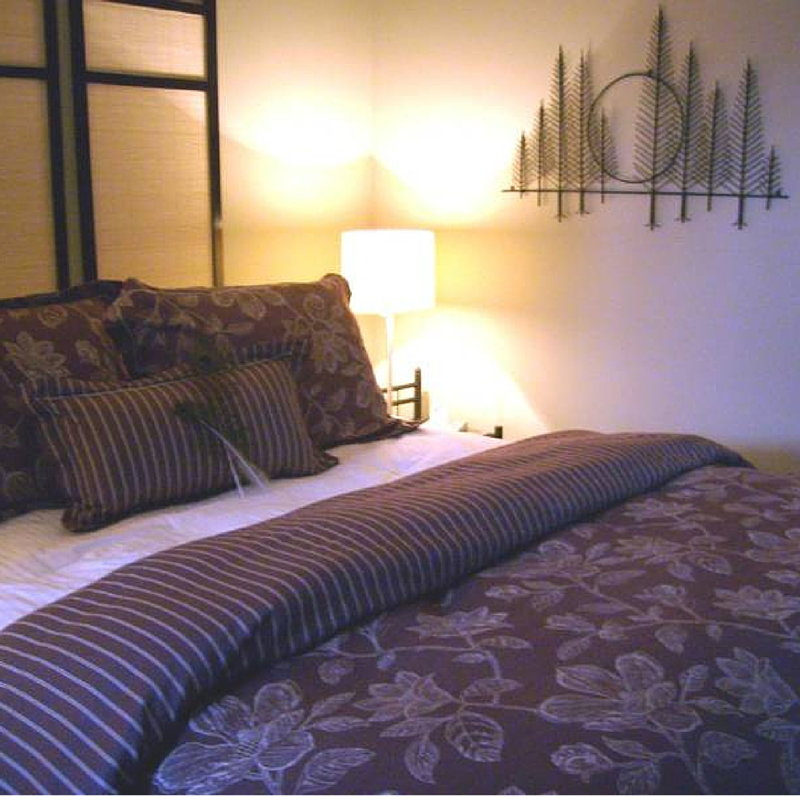 We have 2 luxurious cottages with all the comforts of a home away-from-home. 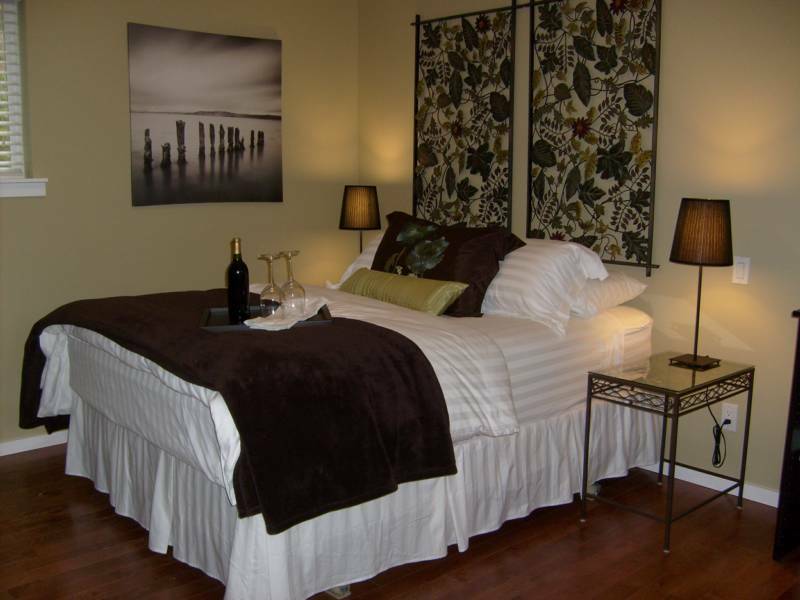 Both cottages have private entrances and front deck so you can fully enjoy our hospitality in beautiful Qualicum Beach, BC. 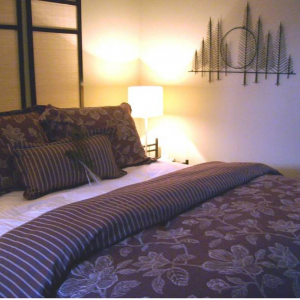 Spacious and comfortable room, with Sealy Posturepedic Queen mattress, finest linens with down duvets and pillows. Full kitchenette, mini fridge, cooktop, microwave, convection toaster oven, toaster, coffee maker, cookware (pots, pans, dishes, cutlery, etc.). Robes and slippers and fresh towels with spa products. Private bathroom with tub & shower. Flat screen TV & free wifi.